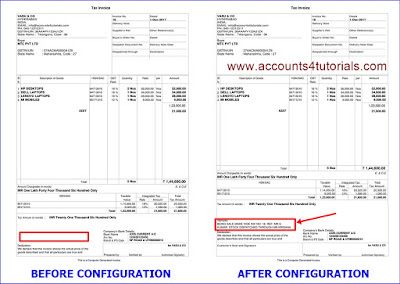 In this video, we will explain how to add Narration in tally GST Invoice. This option is helpful to add remarks or other information in your GST Tally Invoice. 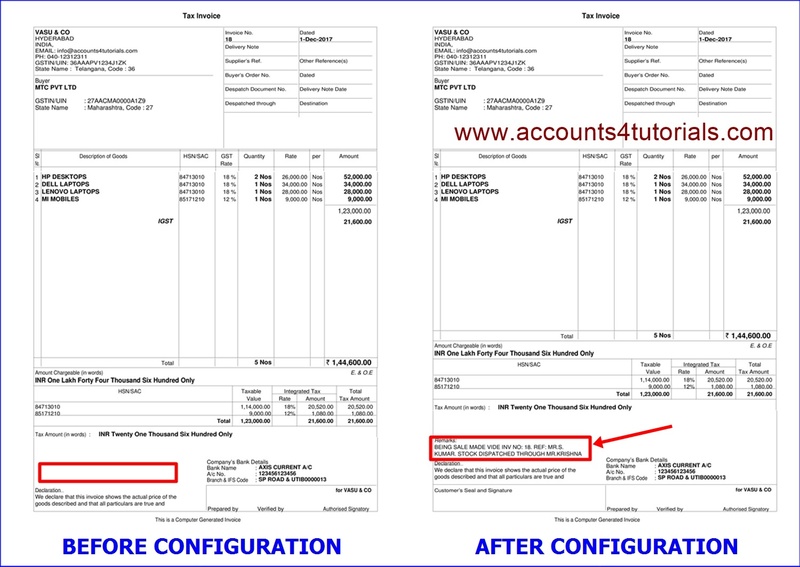 In the following image, you can compare Invoice format Before and After Configure. To enable this option to follow the following steps. Tally Displays Invoice Printing Configure window. Then Press CTRL+A to save changes. Open Any sales invoice then click on print. Now tally print Remark (Narration) option in your GST invoice.